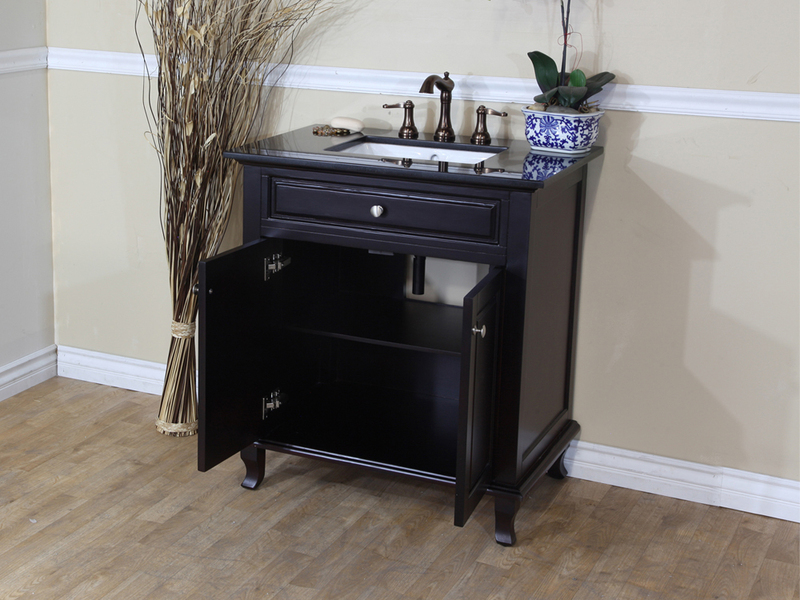 The Guilarte Single Vanity features both traditional and modern influences, with its chamfered panels, beveled edges, curved legs and simple style. 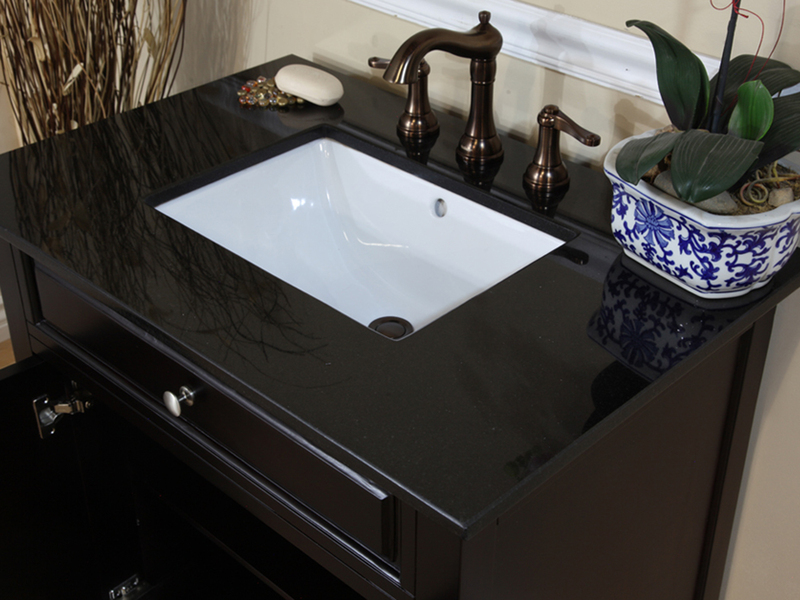 The vanity is topped with a beautiful Black Galaxy granite counter, which enhances the luxurious look of its dark mahogany finish. 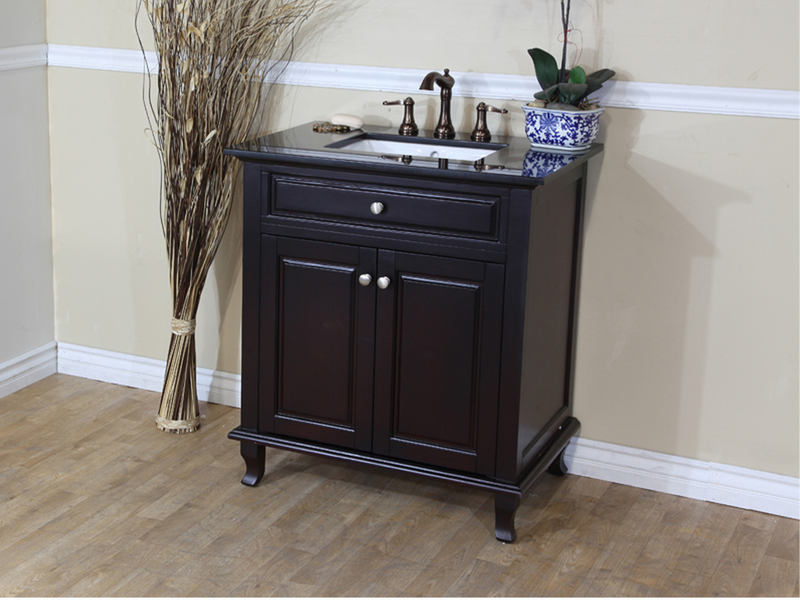 The cabinet is protected against humidity by its water proof finish, preserving the shape and look of the vanity. 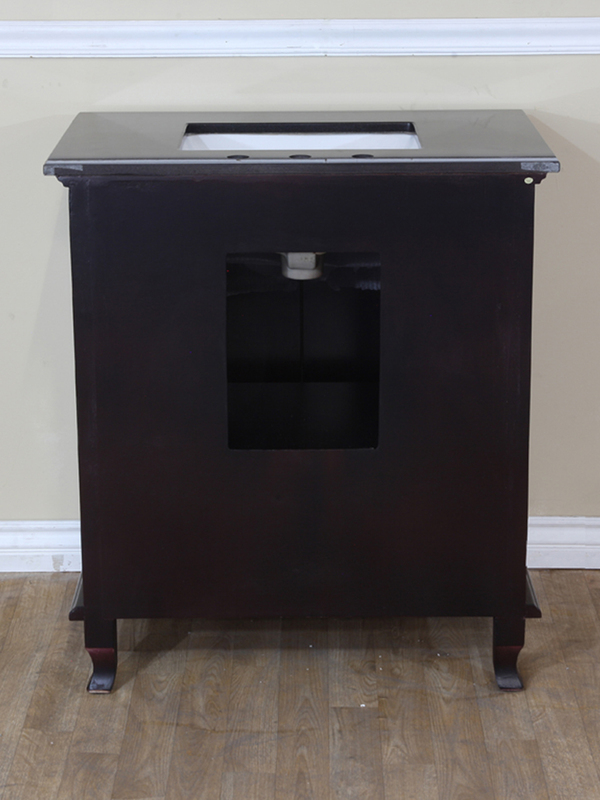 A single cabinet with a interior shelf provides lots of storage in a small space. 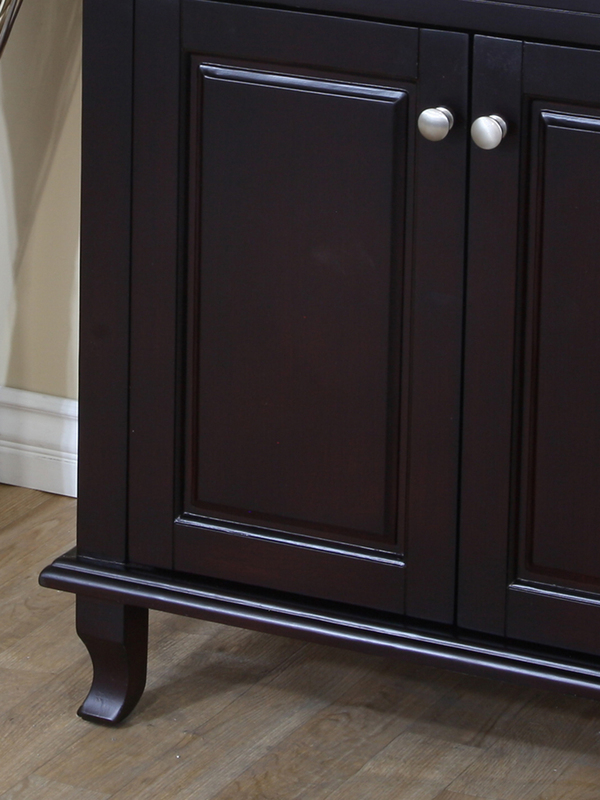 The cabinet doors feature soft closing hinges for controlled, gentle motion. 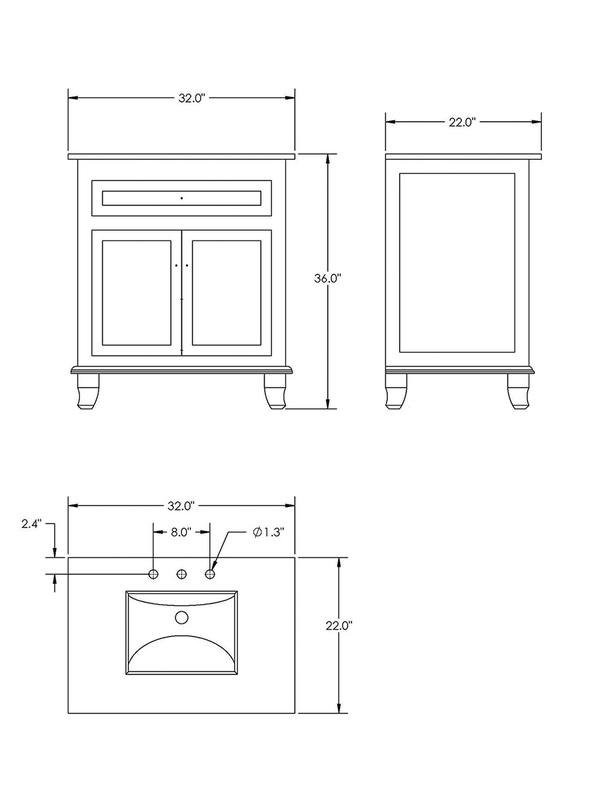 A matching backsplash is optionally available with this vanity through the drop down menu.